Prior to the first meeting of my reading group, I dutifully did my homework of reading the first chapter (much like our students often do, the night before…). Somewhat to my surprise, the book doesn’t start by discussing creating formal assessments or how to effectively grade and provide feedback. Rather, as Pearsall points out “a lot of the work associated with correction is actually generated long before students put pen to paper. The way you set up and run a learning activity can have a profound effect on how much correction you have to do at the end of it.” The foundation of assessment, according to Pearsall is then questioning technique. Using questions to promote learning is not a new concept and most, even non-educators, are somewhat familiar with the Socratic Method. While the simplified version of the Socratic Method is thought of as using pointed questions to elicit greater understanding, more formally, this technique encourages the student to acknowledge their own fallacies and then realize true knowledge through logical deduction,. Compared to the conversations of Socrates and Plato 2+ millennia ago, modern classrooms not only include this dialectic discourse but also other instructional methods such as didactic, inquiry, and discovery-based learning (or some version of these strategies that bears a synonymous name). My classroom is no different — I ask questions all class long, to begin a session (which students answer in writing to prime them into thinking about the material they experienced in preparation for class), to work through material I am presenting (in order to encourage engagement), and in self-directed class activities (both on worksheets and as I roam the room). However, it was not until reading Pearsall’s first chapter that I stopped to question my questions and reflect on how they contribute to my overall assessment strategy. How do I get more students to participate? We can “warm up” cold calling to encourage participation through activities like think-pair-share, question relays, scaffolding answers, and framing speculation. It is important to give students sufficient thinking time through fostering longer wait and pause times. Pre-cueing and using placeholder or reflective statements can help with this. How do I elicit evidentiary reasoning from students? “What makes you say that?” and “Why is _____ correct?” encourages students to articulate their reasoning. Checking with others and providing “second drafts” to responses emphasizes the importance of justifying a response. How do I sequence questions? The right question doesn’t necessarily lead to better learning if it’s asked at the wrong time. Questions should be scaffolded so depth and complexity develops (i.e. detail, category, elaboration, evidence). How do I best respond to student responses? Pivoting, re-voicing, and cueing students can help unpack incorrect and incomplete answers as well as build and explore correct ones. How do I deal with addressing interruptions? Celebrating good practices, establishing rules for discussion, making it safe to answer and addressing domineering students can facilitate productive questioning sessions. After reviewing these strategies, I’ve realized a few things. First, I was already utilizing some of these techniques, perhaps unconsciously, or as a testament to the many effective educators I’ve learned from over the years. Second, I fall victim to some questioning pitfalls such as not providing enough cueing information and leaving students to try their hand at mind-reading what I’m trying to ask more than I would like. Third, the benefits of better questioning are real. Although only anecdotal and over a small sampling period, I have observed that by reframing certain questions, I am better able to determine if students have learned and identify what they may be missing. As I work to clean up my assessment strategies, I will continue to question my questions, and encourage it in my colleagues as well. 1Stoddard, H.A. and O’Dell, D.A. 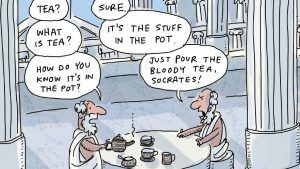 Would Socrates Have Actually Used the Socratic Method for Clinical Teaching? J Gen Intern Med 31(9):1092–6. 2016. 2Oyler, D.R. and Romanelli, F. The Fact of Ignorance Revisiting the Socratic Method as a Tool for Teaching Critical Thinking. Am J of Pharm Ed; 78 (7) Article 144. 2014. 3A free preview of the first chapter of Pearsall’s book is available here. 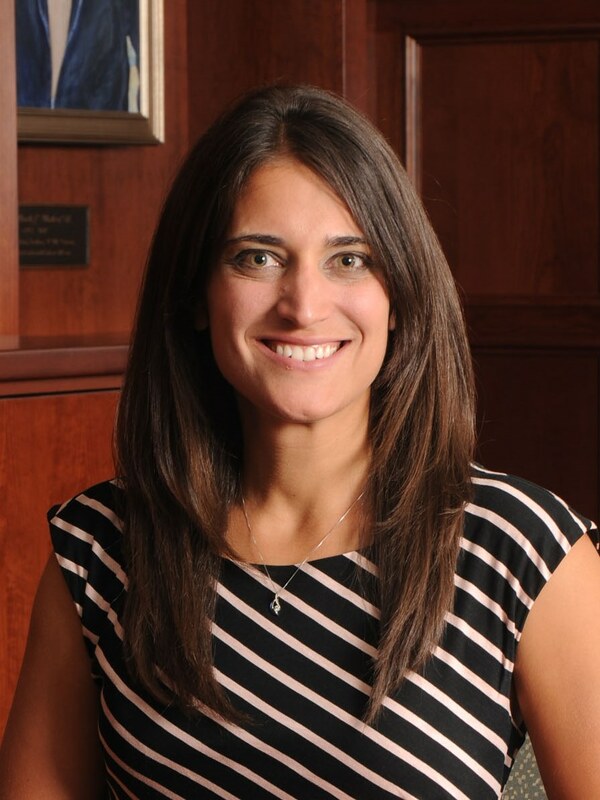 Anne Crecelius (@DaytonDrC) is an Assistant Professor in the Department of Health and Sport Science at the University of Dayton where she won the Faculty Award in Teaching in 2018. She teaches Human Physiology, Introduction to Health Professions, and Research in Sport and Health Science. 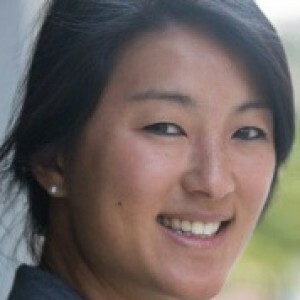 She returned to her undergraduate alma mater to join the faculty after completing her M.S. and Ph.D. studying Cardiovascular Physiology at Colorado State University. Her research interest is in the integrative control of muscle blood flow. 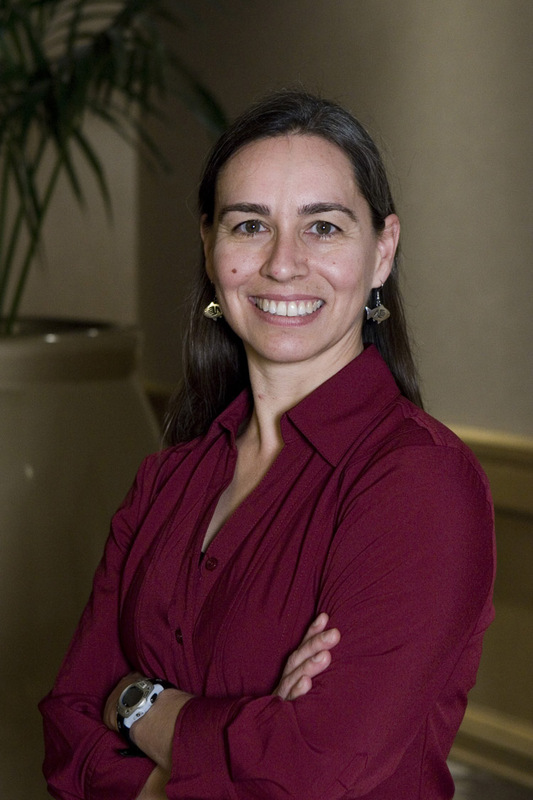 She is a member of the American Physiological Society (APS), serving on the Teaching Section Steering Committee and will chair the Communications Committee beginning in 2019. In 2018, she was awarded the ADInstruments Macknight Early Career Innovative Educator Award. Throughout my science education career, if I was asked what I do, I responded “I write standardized tests.” Let me assure you, this doesn’t win you too many fans outside of science education assessment circles. But in my opinion, there is nothing better to help one develop an understanding and intuition about how students learn than interviewing hundreds of students, listening to their thinking as they reason through questions. When I listen to students think aloud as they answer questions, I learn a lot about what they know and about their exam-taking processes too. For example, while interviewing a student on a multiple true-false format physiology question, the student answered all the true-false statements then said “Wait, let me go back. There’s always some exception I might be missing.” For this student, physiology always broke the rules and the exams they typically took tried to test whether they knew the exceptions. Although my intention for the question was to have the students apply general conceptual knowledge, the student, like most others I interviewed, was instead spending a lot of time making sure they had recalled all the right information. Eventually, moments like this led to a simple change in question format that created an interesting shift in the way questions elicited thinking from faculty and students alike. 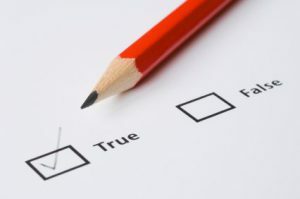 However, as I was creating the physiology-specific assessment and Dr. Mindi Summers was creating the ecology-evolution-specific assessment, we ran into challenges when writing statements that needed to be absolutely “true” or “false.” Sometimes we had to write overly complex scenarios for the questions because too many constraints were needed for a “true” or “false” answer. In addition, discipline experts were refusing to ever say something was “true” or “false” (especially, but not solely, the evolutionary biologists). Thus, many of our statements had to be re-written as something that was “likely to be true” or “unlikely to be true”, making the statements bulky and long. Dr. Summers was the first to bring up in our working group meeting the idea of modifying the true-false format. She suggested changing the prompt. What initially read “Based on this information and your knowledge of biology, evaluate each statement as true or false,” became “Based on this information and your knowledge of biology, evaluate each statement as likely or unlikely to be true.” I was instantly sold. I thought back to the student who had spent so much extra time trying to search her brain for the exceptions to the general rules. Surely, this was going to help! It did. For starters, the discipline experts we were consulting were much more inclined to agree the answers were scientifically accurate. And for good reason! We science experts do not often work in the absolutes of “true” and “false”. In fact, I’m pretty sure a whole field of math was created for exactly this reason. I also saw a difference in how students responded to the new language. 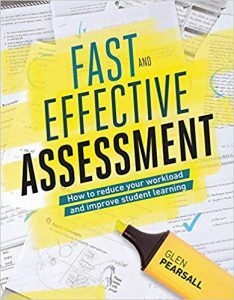 In my interviews, I noticed students took considerably less time on the assessment and I never again heard a student stop to try to remember all the exceptions they might know. Better yet, I started hearing language that reflected students were applying knowledge rather than trying to remember facts. For example, in the previous true-false format, I often heard “Oh, I just learned this,” and then I would watch the student close their eyes and agonize trying to remember a piece of information, when all the information they needed to answer the question was right in front of them. With the new “likely or unlikely to be true” format, I was hearing more “well that’s generally true, so I think it would work here too.” It appeared that students had shifted to a more conceptual rather than factual mindset. We educators hear the message from a million places that we should teach science as we do science. I maintain that this should count towards how we assess science knowledge and skills too, asking students to apply their knowledge in new contexts where there is no known answer. But when science explores the unknown, how do you ask about the unknown and still have a right answer to grade? (Easily, on a scantron, that is.) As scientists, we use our knowledge to make predictions all the time, not thinking that our hypotheses will absolutely be true, but that they are the mostly likely outcome given what we already know. Why not show our students how much we value that skill by asking them to do the same? 1 Answer: Likely to be true. 3 The Bio-MAPS working group includes: Drs. Michelle Smith, Jennifer Knight, Alison Crowe, Sara Brownell, Brian Couch, Mindi Summers, Scott Freeman, Christian Wright and myself. 4 Couch, B. A., Hubbard, J. K., and Brassil, C. E. (2018). Multiple–true–false questions reveal the limits of the multiple–choice format for detecting students with incomplete understandings. BioScience 68, 455–463. 5 Hubbard, J. K., Potts, M. A., and Couch, B. A. (2017). 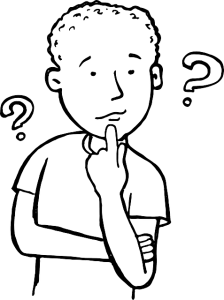 How question types reveal student thinking: An experimental comparison of multiple-true-false and free-response formats. CBE Life Sci. Educ. Dr. Katharine (Kate) Semsar finally found a job that uses all her diverse training across ecology, physiology, genetics, behavioral biology, neuroscience, science education, and community building. Kate is the Assistant Director of STEM Programming for the Miramontes Arts & Sciences Program (MASP), an academic community for underrepresented students in the College of Arts & Sciences at the University of Colorado Boulder. She received her PhD from North Carolina State University and continued her training at University of Pennsylvania. 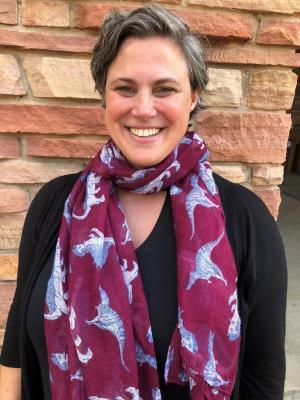 She then became a science education specialist with the Science Education Initiative in the Integrative Physiology department at the University of Colorado Boulder, studying how students learn and collaborating with faculty to incorporate fundamental principles of learning in their courses. She continued her science education research with the Bio-MAPS team before finally landing in her dream career, teaching and mentoring students in MASP. Despite the career shift, she still loves watching people’s reactions when she tells them she used to write standardized assessments. A few mornings ago, I was listening to a television commercial as I got ready for work. “What is critical thinking worth?” said a very important announcer. “A whole lot” I thought to myself. But what exactly is critical thinking? A Google search brings up a dictionary definition. Critical thinking is “the objective analysis and evaluation of an issue to form a judgement.” The example sentence accompanying this definition is “professors often find it difficult to encourage critical thinking among their students.” WOW, took the words right out of my mouth! Have any of you had the following conversation? “Dr. A, I studied and studied for this exam and I still got a bad grade. I know the material, I just can’t take your tests!” The student in question has worked hard. He or she has read the course notes over and over, an activity that has perhaps been rewarded with success in the past. Unfortunately re-reading notes and textbooks over and over is the most common and least successful strategy for studying (4). In my opinion, as someone who has been teaching physiology for over 20 years, physiology is not a discipline that can be memorized. Instead, it is a way of thinking and a discipline that has to be understood. Over the years, my teaching colleague of many years, Sue Keirstead, and I found ourselves during office hours trying repeatedly to explain to students what we meant by thinking critically about physiology. We asked the same probing questions and drew the same diagrams over and over. We had the opportunity to formalize our approach in a workbook called Cells to Systems Physiology: Critical Thinking Exercises in Physiology (2). We took the tough concepts students brought to office hours and crafted questions to help the students work their way through these concepts. Students who perform well in our courses make use of the workbook and report in student evaluations that they find the exercises helpful. 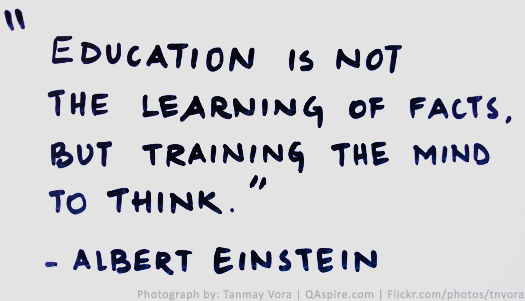 But we still have students who struggle with the critical thinking exercises and the course exams. According to the comments from student evaluations, students who struggled with the exercises report they found the questions too open ended. Furthermore, many of the answers cannot be pulled directly from their textbook, or at least not in the format they expect the answer to be in, and students report finding this frustrating. For example, the text may discuss renal absorption and renal secretion in general and then the critical thinking exercises asks the student to synthesize all the processes occurring in the proximal tubule. The information is the same but the organization is different. Turns out, this is a difficult process for our students to work through. We use our critical thinking exercise as a type of formative assessment, a low stakes assignment that evaluates the learning process as it is occurring. We also use multiple choice exams as summative assessments, high stakes assessments that evaluate learning after it has occurred. We use this format because our physiology course enrollment averages about 300 students and multiple choice exams are the most efficient way to assess the class. We allow students to keep the exam questions and we provide a key a couple of days after the exam is given. Zach discovers that he was so worried about running out of time that he did not read the questions carefully. Some of the questions reminded him of questions from the online quizzes. He did know the material but he wasn’t clear on what the question was asking. This is a testing issue. Zach, of course, should slow down. He should underline key words in the question stem or draw a diagram to make sure he is clear on what the question is asking. Sarah discovers that she didn’t know the material as well as she thought she did, a problem that is called the illusion of knowing (3). Sarah needs to re-evaluate the way she is studying. If Sarah is cramming right before the exam, she should spread out her studying along with her other subjects, a strategy called interleaving (3). If she is repeatedly reading her notes, she should put her notes away, get out a blank piece of paper and write down what she remembers to get a gauge of her knowledge, a process called retrieval (3). If she is using flash cards for vocabulary, she should write out learning objectives in her own words, a process called elaboration (3). Terry looks over the exam and says, “I don’t know what I was thinking. I saw something about troponin and I picked it. This really frustrates me. I study and study and don’t get the grade I want. I come to lecture and do all the exercises. I don’t know what else to do.” It is a challenge to help this student. She is not engaging in any metacognition and I don’t claim to have any magic answers to help this student. I still want to try to help her. I feel very strongly that students need to reflect on what they are learning in class, on what they read in their texts, and on the activities performed in lab (3). I have been working on a project in one of my physiology courses in which I have students take quizzes and exams as a group and discuss the answers collaboratively. Then I have them write about what they were thinking as they approached the question individually and what they discussed in their group. I am hoping to learn some things about how students develop critical thinking skills. I hope I can share what I learn in a future blog posting. Ambrose SA, Bridges MW, DiPietro M, Lovett M, Norman MK. How Learning Works: 7 Research Based Points for Teaching. San Francisco CA: Jossey-Bass, 2010. Anderson LC, Keirstead SA. Cells to Systems: Critical Thinking Exercises in Physiology (3rd ed). Dubuque, IA: Kendall Hunt Press, 2011. Callender AA, McDaniel, MA. The limited benefits of rereading educational text, Contemporary Educational Psychology 34:30-41, 2009. Retrieved from http://ac.els-cdn.com/S0361476X08000477/1-s2.0-S0361476X08000477-main.pdf?_tid=22610e88-61b4-11e7-8e86-00000aacb35e&acdnat=1499281376_e000fa54fe77e7d1a1d24715be4bbf50 , June 22, 2016. Lisa Carney Anderson, PhD is an Assistant Professor in the Department of Integrative Biology and Physiology at the University of Minnesota. She completed training in muscle physiology at the University of Minnesota. 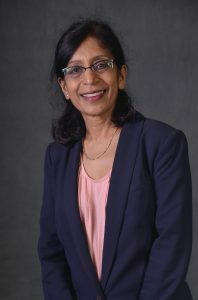 She collaborates with colleagues in the School of Nursing on clinical research projects such as the perioperative care of patients with Parkinson’s disease and assessment of patients with spasticity. She directs a large undergraduate physiology course for pre-allied health students. 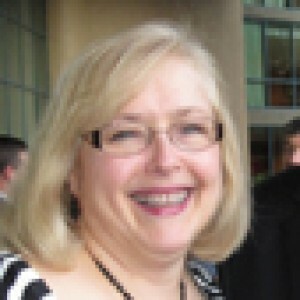 She also teaches nurse anesthesia students, dental students and medical students. 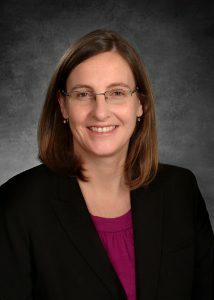 She is the 2012 recipient of the Didactic Instructor of the Year Award from the American Association of Nurse Anesthesia. She is a co-author of a physiology workbook called Cells to Systems: Critical thinking exercises in Physiology, Kendall Hunt Press. Dr. Anderson’s teaching interests include teaching with technology, encouraging active learning and assessment of student reflection. Retrieval practice, retrieval __________, _________ practice, testing effect……wuh?!?! Retrieval practice simply means to actively recall information following exposure (e.g., studying). Because tests are a particularly common and effective means by which to prompt the retrieval of specific pieces of information, the learning benefits of retrieval practice are also known as the testing effect. That is, effective tests can do more than simply assess learning; they can strengthen learning by prompting retrieval. It is important to clarify that the key to the testing effect is the retrieval and not the test per se. Therefore, the testing effect pertains to not only traditional assessments like tests and quizzes, but also to free recall. So, silently answering questions in your mind (e.g., self-testing) is an example of testing that promotes learning. Figure 1. Repeated testing lead to better long-term recall when compared to repeated studying. Roediger and Karpicke, 2006a. Although the testing effect has been described by studies that date back more than a century, researchers and articles often cite a 2006a study by Roediger and Karpicke as the source of renewed interest in the strategy and effect. In that study, the investigators asked three groups of undergraduates to read passages that were about 250 words long. One group of students learned the passages by studying (i.e., reading) them four times (SSSS group). A second group learned the passages by studying them three times and then completing a test in which they were prompted to retrieve information from the passages (SSST group). The last group studied the passages just one time and then performed the retrieval test three times (STTT group). All three groups were given a total of 20 minutes to learn each passage, following which their retention was assessed via free recall either 5 minutes or 1 week later. As you can see in Figure 1, there was a modest advantage with the SSSS strategy, as well as a modest disadvantage with the STTT strategy, immediately after learning the passages. 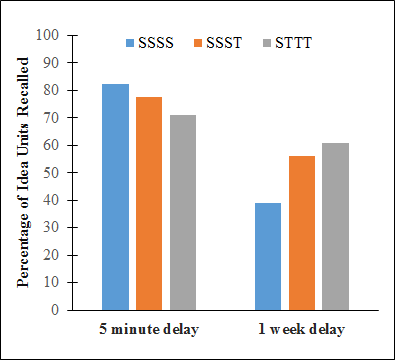 However, the exact opposite pattern was observed one week later, as the STTT group’s recall scores were about 5% higher and 21% higher than those of the SSST and SSSS groups, respectively. The results of this study demonstrated that testing/retrieval practice can be a powerful means of improving long-term memory. These advantages to long-term recall have subsequently been confirmed by many different researchers and investigations (see Roediger and Butler 2011; Roediger and Karpicke, 2006b for review). Figure 2. Retrieval practice resulted in higher scores on verbatim and inferential questions. Derived from Karpicke and Blunt, 2011. One might be concerned that retrieval practice is just a form of drill and practice that merely teaches people to produce a fixed response to a specific cue. Karpicke and Blunt (2011) addressed this concern by comparing the effects of retrieval practice and concept mapping on meaningful learning, which includes the ability to draw conclusions and create new ideas. The investigators chose concept mapping for this comparison because it known to promote elaborative (i.e., complex) learning. In one experiment, one group of students learned a science text by repeatedly reading (i.e., studying) it, another group studied the text and then used it create a concept map, and a third group studied and then recalled the text two times. The total amount of time the concept mapping and retrieval practice groups were given to learn the text was standardized. The students returned the following week and completed a short-answer test that included both questions that could be answered verbatim from the text and questions that required inferences. 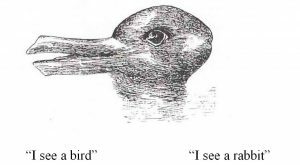 As is displayed in Figure 2, the retrieval practice strategy resulted in superior scores on not just the verbatim questions, but also on the inference questions. That is, the advantages of retrieval practice extended beyond simple recall and to meaningful learning. These findings are supported by numerous other investigations (see Karpicke and Aue, 2015 for review), including a subsequent study by the same authors (Blunt and Karpicke, 2014). Okay, so retrieval practice has been shown to enhance recall and meaningful learning, but does it work with the types of information that are relevant to APS members? Figure 3. The testing strategy resulted in superior performance on both sections of the six month assessment. Derived from Larsen, Butler and Roediger, 2009. Yes………numerous studies support this claim. 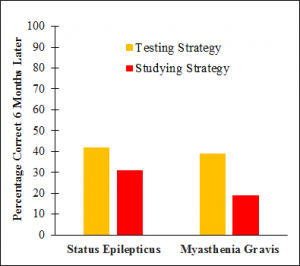 One notable example was a study by Larsen, Butler and Roediger (2009) in which two groups of medical residents first attended lectures on the treatments of both status epilepticus and myasthenia gravis. Immediately after the lectures, and then again about two and four weeks later, the residents studied (i.e., read) a review sheet pertaining to the treatment of one of those diseases and they completed a retrieval test that included feedback on the other treatment. Roughly six months after the lectures, the residents completed a final assessment that covered the treatment of both diseases. As you can see in Figure 3, the testing strategy resulted in scores that were about 11% and 17% higher than those associated with the studying strategy on the status epilepticus and myasthenia gravis sections, respectively. It is also worth noting that the overall effect size pertaining to those differences was large (Cohen’s d = 0.91). The same group of researchers went on publish similar findings with groups of first-year medical students (Larsen et al, 2013). In that follow-up study, a testing-based strategy produced superior recall and greater transfer of learning of four clinical neurology topics six months after the students first encountered them. Our lab has also recently published numerous studies with relevant materials, and we observed several advantages with retrieval practice compared to more commonly-used reading and note-taking learning strategies. For example, we found that retrieval-based strategies resulted in superior recall of exercise physiology (Linderholm, Dobson and Yarbrough, 2016) and anatomy and physiology course information (Dobson and Linderholm, 2015a; Dobson and Linderholm, 2015b), including information that consisted of concepts and terminology that were previously unfamiliar to the students (Dobson, Linderholm and Yarbrough, 2015). We have also observed advantages to independent student learning that resulted in higher scores on course exams (Dobson and Linderholm, 2015a), as well as to the ability to synthesize themes from multiple sources (Linderholm, Dobson and Yarbrough, 2016), which is a skill that requires higher orders of cognition. Just give me the take home messages. Dozens of studies have demonstrated that retrieval practice can promote superior recall and meaningful learning when compared to more commonly-used strategies like reading. (Karpicke and Aue, 2015; Roediger and Butler, 2011; Roediger and Karpicke, 2006b). Although some studies have provided evidence that essay and short answer (SA) questions can lead to a greater testing effect than multiple choice (MC) questions (Roediger and Karpicke, 2006b; Butler and Roediger, 2007), a recent study by Smith and Karpicke (2014) indicated that MC and SA questions are equally effective. The benefits of retrieval practice are enhanced if learners receive feedback after they retrieve (Roediger and Butler, 2011; Roediger and Karpicke, 2006b). Great, but how do you apply retrieval practice in the classroom? Summative assessments. Tests prompt retrieval, so one way to incorporate more retrieval practice into your classes is to have your students complete both more exams and more cumulative exams. Formative assessments. There are numerous reasons to use low-stakes assessments like quizzes instead of tests. Quizzes may be just as effective at prompting retrieval, and they provide valuable feedback about performance to both instructors and students, but they typically elicit less anxiety and encourage less cheating. Suggested applications include starting class meetings with a short quiz that prompts students to retrieve information that will be developed during the lecture and/or end class meetings with a short quiz to get students to retrieve the important take home messages of the lecture. In-class retrieval assignments. A great way to break up the monotony of lectures is to have students complete retrieval assignments during class meetings. For example, have individuals or groups of students retrieve information and then present it to the rest of the class. Encourage students to use retrieval practice outside of class. One of the greatest benefits of retrieval practice is that it easy to use; all one needs to do is to recall information from memory. 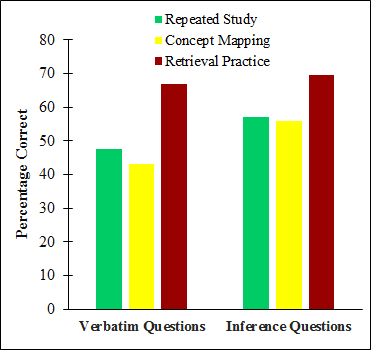 I encourage my students to use retrieval practice by first presenting to them some of the evidence of its effectiveness (described above), and then by suggesting some methods they may use to employ the strategy that (e.g., take turns quizzing or teaching fellow students, quiz one-self, or simply freely recall portions of the information). Again, it is important to emphasize that multiple retrieval events are more beneficial, and that each or most of those should include feedback. For example, have students study then retrieve then study again to receive feedback, etc. Dobson JL and Linderholm T, The effect of selected “desirable difficulties” on the ability to recall anatomy information. Anatomical Sciences Education 8: 395-403, 2015. Dobson JL, Linderholm T. Self-testing promotes superior retention of anatomy and physiology information. Advances in Health Sciences Education 20: 149-161, 2015. Butler AC, Roediger HL. Testing improves long-term retention in a simulated classroom setting. European Journal of Cognitive Psychology 19: 514-527, 2007. Blunt JR, Karpicke JD. Learning with retrieval-based concept mapping. Journal of Educational Psychology 106: 849, 2014. Dobson JL, Perez J, Linderholm T. Distributed retrieval practice promotes superior recall of anatomy information. Anatomical Sciences Education DOI: 10.1002/ase.1668, 2016. Karpicke JD, Aue, WR. The testing effect is alive and well with complex materials. Educational Psychology Review 27: 317-326, 2015. Karpicke JD, Blunt JR. Retrieval practice produces more learning than elaborative studying with concept mapping. Science 331: 772-775, 2011. Larsen DP, Butler AC, Roediger HL. Repeated testing improves long-term retention relative to repeated study: A randomized controlled trial. Medical Education 43: 1174-1181, 2009. Larsen DP, Butler AC, Lawson AL, Roediger HL. The importance of seeing the patient: Test-enhanced learning with standardized patients and written tests improves clinical application of knowledge. Advances in Health Sciences Education 18: 409-25, 2013. Linderholm T, Dobson JL, Yarbrough MB. The benefit of self-testing and interleaving for synthesizing concepts across multiple physiology Advances in Physiology Education 40: 329-34, 2016. Roediger HL, Butler AC. The critical role of retrieval practice in long-term retention. Trends in Cognitive Sciences 15: 20-27, 2011. Roediger HL, Karpicke JD. Test-enhanced learning: Taking memory tests improves long-term retention. Psychological Science 17: 249-255, 2006. Roediger HL, Karpicke JD. The power of testing memory: Basic research and implications for educational practice. Perspectives in Psychological Science 1: 181-210, 2006. Smith MA, Karpicke JD. 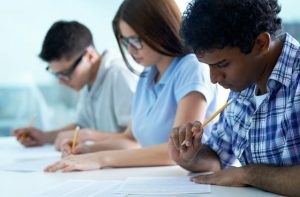 Retrieval practice with short-answer, multiple-choice, and hybrid tests. Memory 22: 784-802, 2014. John Dobson is an Associate Professor in the School of Health and Kinesiology at Georgia Southern University. John received his M.S. and Ph.D. in Exercise Physiology at Auburn University. 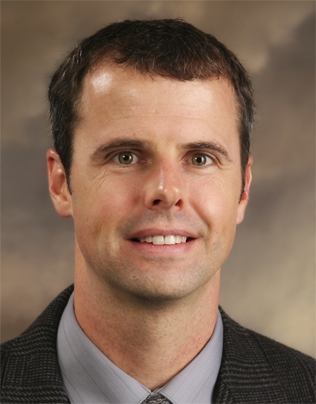 Although most of his research has focused on the application of learning strategies that were developed by cognitive scientists, he has also recently published articles on peripheral neuropathy and concussion-induced cardiovascular dysfunction. He teaches undergraduate and graduate Anatomy and Physiology, Structural Kinesiology, Exercise Physiology, Cardiovascular Pathophysiology courses. He has been an active member of the American Physiological Society since 2009, and he received the Teaching Section’s New Investigator Award in 2010 and Research Recognition Award in 2011. Critical thinking or traditional teaching for Health Professions? A few years ago I moved from a research laboratory to the classroom. Until then, I had been accustomed to examine ideas and try to find solutions by experimenting and challenging the current knowledge in certain areas. However, in the classroom setting, the students seemed to only want to learn facts with no room for alternative explanations, or challenges. This is not the way a clinician should be trained- I thought, and I started looking in text books, teaching seminars and workshops for alternative teaching methods. I quickly learned that teaching critical thinking skills is the preferred method for higher education to develop highly-qualified professionals. Why critical thinking? Critical thinking is one of the most important attributes we expect from students in postsecondary education, especially highly qualified professionals in Health Care, where critical thinking will provide the tools to solve unconventional problems that may result. I teach Pathophysiology in Optometry and as in other health professions, not all the clinical cases are identical, therefore the application and adaptation of the accumulated body of knowledge in different scenarios is crucial to develop clinical skills. Because critical thinking is considered essential for patient care, it is fostered in many health sciences educational programs and integrated in the Health Professions Standards for Accreditation. Communicate effectively with others on solutions to complex problems. However, some educators emphasize the reasoning process, while others focus on the outcomes of critical thinking. Thus, one of the biggest obstacles to proper teaching of critical thinking is the lack of a clear definition, as observed by Allen et al (1) when teaching clinical critical thinking skills. Faculty need to define first what they consider critical thinking to be before they attempt to teach it or evaluate student learning outcomes. 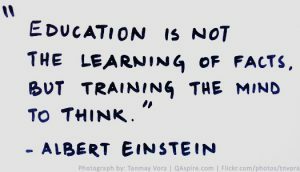 But keep in mind that not all students will be good at critical thinking and not all teachers are able to teach students critical thinking skills. The experts in the field have classically agreed that critical thinking includes not only cognitive skills but also an affective disposition (2). I consider that it mostly relies on the use of known facts in a way that enables analysis and reflection of conventional and unconventional cases for the future. I have recently experimented with reflection in pathophysiological concepts and I have come to realize that reflection is an integral part of the health professions. We cannot convey just pieces of information based on accumulated experience, we have to reflect on it. Some studies have demonstrated that reflective thinking positively predicted achievement to a higher extent than habitual action. However, those may not be the key elements of critical thinking that you choose to focus on. “Ill structured problems” are those that don’t have a single right answer they are based on reflective judgment and leave conclusions open to future information. “Criteria for assessment of thinking” include clarity, accuracy, precision, relevance, depth, breadth, logic, significance, and fairness (Paul & Elder, 2001). “Student meaningful and valid assessment of their own thinking”, as they are held accountable for it. “Improving the outcomes of thinking” such as in writing, speaking, reading, listening, and creating. There are a variety of examples that serve as a model to know if the course contains critical thinking elements and to help design the learning objectives of a course. 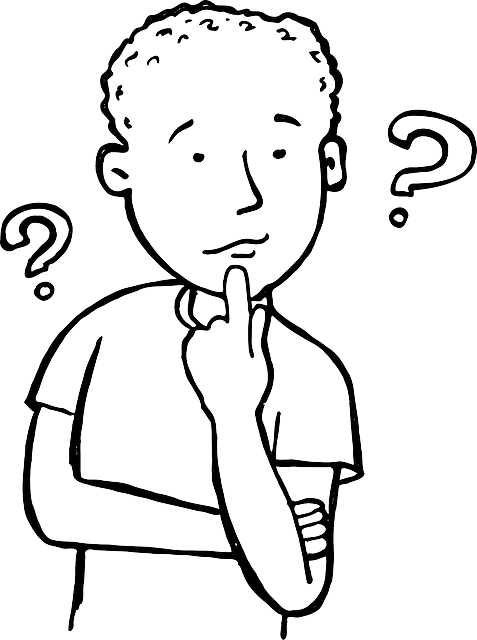 However, it can be summarized in the statement that “thinking is driven by questions”. We need to ask questions that generate further questions to develop the thinking process (4). By giving questions with thought-stopping answers we are not building a foundation for critical thinking. We can examine a subject by just asking students to generate a list of questions that they have regarding the subject provided, including questions generated by their first set of questions. Questions should be deep to foster dealing with complexity, to challenge assumptions, points of view and the sources of information. Those thought-stimulating types of questions should include questions of purpose, of information, of interpretation, of assumption, of implication, of point of view, of accuracy and precision, of consistency, of logic etc. However, how many of you just get the question: “Is this going to be on the test?”. Students do not want to think. They want everything to be already thought-out for them and teachers may not be the best in generating thoughtful questions. As an inexperienced research educator, trying to survive in this new environment, I fought against the urge of helping the students to be critical thinkers, and provided answers rather than promoting questions. I thought I just wanted to do traditional lectures. However, unconsciously I was including critical thinking during lectures by using clicker questions and asking about scenarios with more than one possible answer. Students were not very happy, but the fact that those questions were not graded but instead used as interactive tools minimized the resistance to these questions. The most competitive students would try to answer them right and generate additional questions, while the most traditional students would just answer, no questions asked. I implanted this method in all my courses, and I started to give critical thinking assignments. The students would have to address a topic and to promote critical thinking, a series of questions were included as a guide in the rubric. The answers were not easily found in textbooks and it generated plenty of additional questions. As always, it did not work for every student, and only a portion of the class probably benefited from them, but all students had exposure to it. Another critical thinking component was the presentation of a research article. Students had a limited time to present a portion of the article, thus requiring analysis, summary and reflection. This is still a work in progress and I keep inserting additional elements as I see the need. Despite the push for critical thinking in Health Professions, there is no agreement on whether critical thinking positively impacts student performance. The curriculum design is focused on content rather than critical thinking, which makes it difficult to evaluate the learning outcomes (5). In addition, the type of assessment used for the evaluation of critical thinking may not reflect these outcomes. There is a growing trend for measuring learning outcomes, and some tests are used to assess critical thinking, such as the Classroom Assessment Techniques (CAT), which evaluate information, creative thinking, learning and problem solving, and communication. However, the key elements in the assessment of student thinking are purpose, question at issue, assumptions, inferences, implications, points of view, concepts and evidence (6). Thus, without a clear understanding of this process and despite the available tests, the proper assessment becomes rather challenging. Another issue that arises when evaluating students critical thinking performance is that they are very resistant to this unconventional model of learning and possibly the absence of clear positive results may be due to the short exposure to this learning approach in addition to the inappropriate assessment tools. Whether or not there is a long term beneficial effect of critical thinking on clinical reasoning skills remains to be elucidated. I tried to implement critical thinking in alignment with my view of Physiology. 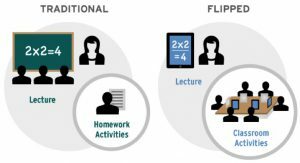 Since, I taught several courses to the same cohort of students within the curriculum, I decided to try different teaching techniques, assessments and approaches at different times during the curriculum. This was ideal because I could do this without a large time commitment and without compromising large sections of the curriculum. However, after evaluating the benefits, proper implementation and assessment of critical thinking, I came to the conclusion that we sacrifice contact hours of traditional lecture content for a deeper analysis of a limited section of the subject matter. However, the board exams in health professions are mostly based on traditional teaching rather than critical thinking. Thus, I decided to only partly implement critical thinking in my courses to avoid a negative impact in board certification, but include it somehow as I still believe it is vital for their clinical skills. Allen GD, Rubenfeld MG, Scheffer BK. Reliability of assessment of critical thinking. J Prof Nurs. 2004 Jan-Feb;20(1):15-22. Facione NC, Facione PA. Critical thinking assessment in nursing education programs: An aggregate data analysis. Millbrae: California Academic Press; 1997[cited 2016 Dec 27]. Paul WH, Elder L. Critical thinking handbook: Basic theory and instructional structures. 2nd Dillon Beach: Foundation for Critical Thinking; 2000[cited 2016 Dec 27]. 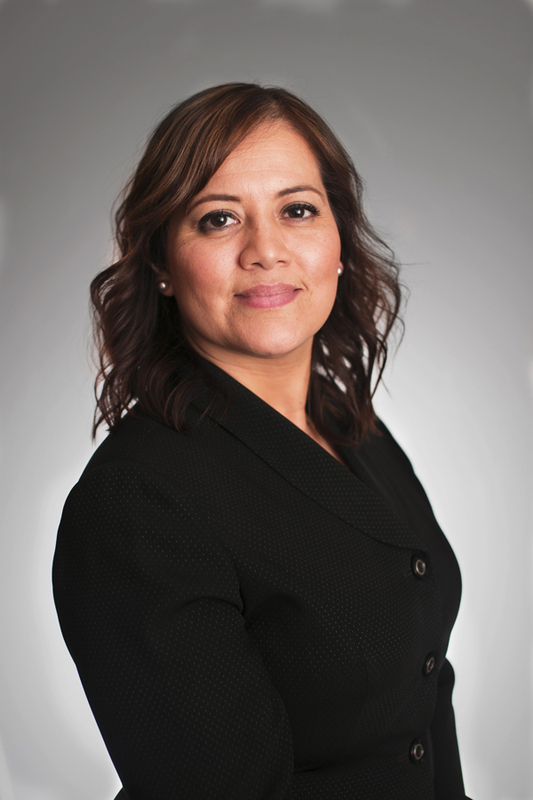 Lourdes Alarcon Fortepiani is an Associate professor at Rosenberg School of Optometry (RSO) at the University of the Incarnate Word in San Antonio, Texas. Lourdes received her M.D. and Ph.D. in Physiology at the University of Murcia, Spain. She is a renal physiologist by training, who has worked on hypertension, sexual dimorphism and aging. Following her postdoctoral fellowship, she joined RSO and has been teaching Physiology, Immunology, and Pathology amongst other courses. Her main professional interest is medical science education. She has been active in outreach programs including PhUn week activities for APS, career day, and summer research activities, where she enjoys reaching K-12 ad unraveling different aspects of science. Her recent area of interest includes improving student critical thinking. I’m not going to write an essay but I am going to offer a few different perspectives on the question in the hope that you realise that there might be a problem hiding a little further down the path we’re all walking. In doing so I’m going to scratch an itch that I’ve had for a while now. I have entertained a rather ill-defined worry for some time and this post provides an opportunity to try pull my concerns into focus and articulate them as best I can. One of the first things I remember reading that muddied the water for me was ‘Making Learning Whole’ by David Perkins (Perkins, 2009). He argues that in education we have tended to break down something complex and teach it in parts with the expectation that having mastered the parts our students would have learned how to do the complex thing – playing baseball, in his example. The problem is that baseball as a game is engaging but when broken down into little bits of theory and skill it becomes dull – a drudge. So, do we teach science as the whole game of structured inquiry, or do we break it down into smaller chunks that are not always well connected (think lecture and practical)? That was worry number one. Let me broaden this out. I see a direct link between the risks of breaking down a complex intellectual challenge into smaller activities that don’t appear to have intrinsic value and ‘painting-by-numbers’ – as a process, it might create something that resembles art but the producer is not working as an artist. If you indulge me a little, I’ll offer an example from education; learning outcomes. In his 2012 article, The Unhappiness Principle’, in the UK’s Times Higher Education magazine, Frank Furedi argues that learning outcomes distort the education process in a number of ways. He worries that learning outcomes provide a structure that learners would otherwise construct for themselves and the adopted construct is rarely as robust as a fully-owned one. He also worries that learning outcomes by their nature attempt to reduce a complex system in a series of statements that are both simple and precise. Their seeming simplicity of expression gives students no insight into the true nature of the problems to be tackled. I don’t imagine that Socrates would have set out learning outcomes for his students. I see similar issues in the specification of the assessment process; the detailed mark scheme. Sue Bloxham and colleagues recently published the findings of a study of the use of marking scheme, entitling it ‘Let’s stop the pretence of consistent marking: exploring the multiple limitations of assessment criteria’. The article is scholarly and it contains some uncomfortable truths for those who feel it should be possible to make the grading of assessments ‘transparent’. In their recommendations they say, ‘The real challenge emerging from this paper is that, even with more effective community processes, assessment decisions are so complex, intuitive and tacit that variability is inevitable. Short of turning our assessment methods into standardised tests, we have to live with a large element of unreliability and a recognition that grading is judgement and not measurement’ [my emphasis] (Bloxham et al., 2016). The idea that outcomes can be assured by instructions that are sufficiently detailed (complex) is flawed but it appears to have been adopted outside education as much as within. The political historian, Niall Fergusson, makes this point well in one of his BBC Reith Lectures of 2012. In relation to the Dodd-Frank Act, he says, ‘Today, it seems to me, the balance of opinion favours complexity over simplicity; rules over discretion; codes of compliance over individual and corporate responsibility. I believe this approach is based on a flawed understanding of how financial markets work. It puts me in mind of the great Viennese satirist Karl Kraus’s famous quip about psychoanalysis, that it was “the disease of which it purported to be the cure” I believe excessively complex regulation is the disease of which it purports to be the cure.” Niall Ferguson: The Darwinian Economy (BBC Reith lecture, 2012). One of the problems is that detail looks so helpful. It’s hard to imagine how too much detail could be bad. There is are examples of where increasing detail led to adverse and unintended outcomes. I have two examples, one from university management and another from education and training. A colleague recently retold a story of a Dean who was shocked that, should a situation arise in an examination room, staff would themselves often decide on an effective course of action. It turned out that the Dean had thought it more proper for the staff to be poring through university regulations. He was also shocked to discover that the regulations did not contain solutions to all possible problems. The example from education and training can be found in article by Barry Scwartz, published in 2011. The article, called ‘Practical wisdom and organizations’, describes what happened when the training of wildland firefighters was augmented from just four ‘survival guidelines’ to a mental manual of very nearly 50 items. He writes. ‘….teaching the firefighters these detailed lists was a factor in decreasing the survival rates. The original short list was a general guide. The firefighters could easily remember it, but they knew it needed to be interpreted, modified, and embellished based on circumstance. And they knew that experience would teach them how to do the modifying and embellishing. As a result, they were open to being taught by experience. The very shortness of the list gave the firefighters tacit permission—even encouragement—to improvise in the face of unexpected events. Weick found that the longer the checklists for the wildland firefighters became, the more improvisation was shut down.’ (Schwartz, 2011). Detail in the wrong place or at the wrong level flatters to deceive. By writing this piece I hoped to pull together my own thoughts and, speaking personally, it worked. I now have a much clearer view of what concerns me about how we’ve been pushing education but that clarity has made my worries all the more acute. Nevertheless, in order to round on a positive note I’ve tried to think of some positive movements. I have always found John Dewey’s writing on education and reasoning to be full of promise (Findlay, 1910). Active learning, authentic inquiry, mastery learning and peer-learning seem to me to be close cousins and a sound approach for growing a real capacity to conceive of science as a way of looking to understand the unknown (Freeman et al., 2014) seem to me to have Dewey’s unspoken blessing. I also think that Dewey would approve of Edgar Morin and his Seven complex lessons in education for the future (Morin, 2002). There is a video of Morin explaining some aspects of the seven complex lessons that I would recommend. I’m off to share an hour with a glass of whisky in a dark room. Bloxham S, den-Outer B, Hudson J & Price M. (2016). Let’s stop the pretence of consistent marking: exploring the multiple limitations of assessment criteria. Assess Eval High Edu 41, 466-481. Findlay JJ, ed. (1910). Educational Essays By John Dewey. Blackie & Sons, London. Freeman S, Eddy SL, McDonough M, Smith MK, Okoroafor N, Jordt H & Wenderoth MP. (2014). Active learning increases student performance in science, engineering, and mathematics. Proceedings of the National Academy of Sciences 111, 8410-8415. Morin E. (2002). Seven complex lessons in education for the future. Unesco. Perkins DN. (2009). Making learning whole : how seven principles of teaching can transform education. Jossey-Bass ; Chichester : John Wiley [distributor], San Francisco, CA. Schwartz B. (2011). Practical wisdom and organizations. Research in Organizational Behavior 31, 3-23. 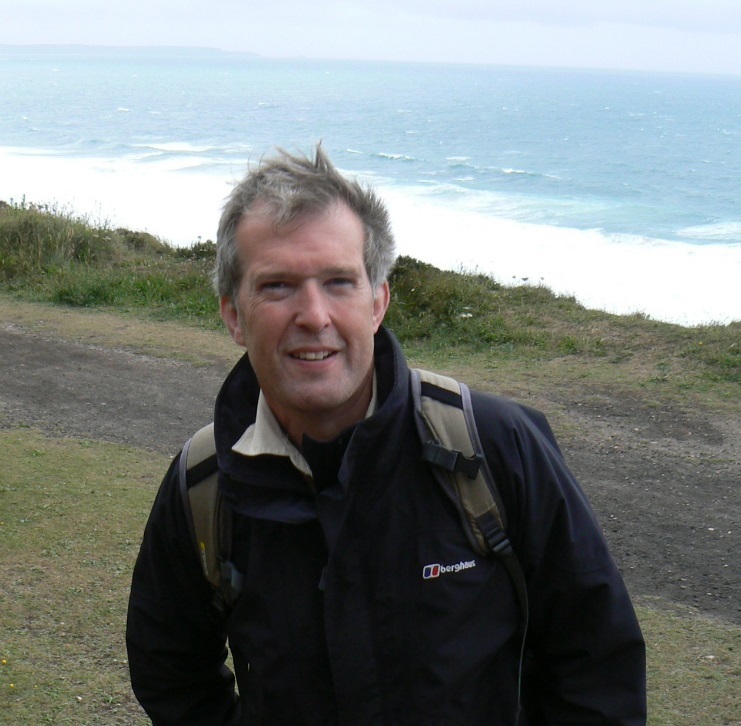 Phil Langton is a senior teaching fellow in the School of Physiology, Pharmacology and Neuroscience, University of Bristol, UK. 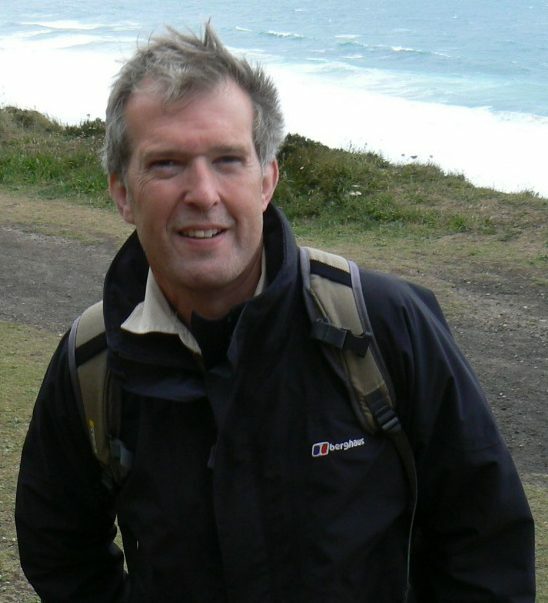 A biologist turned physiologist, he worked with Kent Sanders in Reno (NV) and then with Nick Standen in Leicester (UK) before moving to Bristol in 1995. Phil has been teaching GI physiology for vets, nerve and muscle physiology for medics and cardiovascular physiology for physiologists. He also runs a series of units in the second and third (final) years that are focused on the development of soft (but not easy) skills. He has been interested for years in the development of new approaches to old problems in education and is currently chasing his tail around trying to work out how fewer staff can mentor and educate more students. I love teaching undergraduate labs and watching students grow as scientists. However, I’m not at all excited by the prospect of grading student writing. There are three strategies I wish I had known about before giving my first lab report assignment. Students need practice and feedback. This can be achieved with short, low-stakes writing assignments, peer-review and scaffolded assignments, which require minimal grading on my part. The biggest sanity and time saver of all was telling students that I am not their editor or proofreader. Each of those is probably worthy of its own blog post, so this is a brief overview of strategies I’ve adopted to save my sanity while grading lab reports (and other student writing assignments). A lab report is usually a long, high-stakes assignment, that is worth a substantial portion of the final grade. A full-rubric is invaluable for streamlining the grading process and communicating expectations to students. A full rubric is not just a check-list of presence or absence of criteria needed to complete the assignment. Instead, for each criteria there is a detailed description of different levels of mastery or quality. Rubrics can be used to give formative or summative feedback, analytical or holistic assessments, or a combination. Another advantage of rubrics is that they help standardize grading across multiple sections of a course that are taught by graduate teaching assistants. Here is an example of a summative grading rubric from the methods section of a lab report. Contains sufficient detail for the audience to validate the experiments Contains clear descriptions of all necessary steps for the reader to be able to validate the experiments without having to contact the author for more explanations. Descriptions of the experimental methods are provided, but some minor steps are missing so the reader will not be able to validate the experiments without further assistance. Descriptions of the experimental methods are provided, but one or more key steps are missing so the reader will not be able to validate the experiments without major further assistance. Descriptions of methods are so poor that the reader cannot grasp what experiments were done OR no description included at all. Includes brief description of how data were analyzed (equations, statistics etc.) A clear description of how data were analyzed, including all relevant steps and calculations. A description of how data were analyzed but is missing some steps or calculations. A poor description of how data were analyzed and is missing substantial steps or calculations. Reader is unable to understand how data were analyzed OR no description is given at all. Allen, D. and T. Tanner (2006) Rubrics: Tools for Making Learning Goals and Evaluation Criteria Explicit for Both Teachers and Learners. CBE Life Science Education 5:197-203. Andrade, H. G. (2006) Teaching with Rubrics: the Good, the Bad, and the Ugly. College Teaching. 53: 27-31. Carnegie Mellon University Eberly Center for Teaching Excellence & Educational Innovation. Students sometimes tell me that they are “not very good at writing”. My reply is that writing is a skill and as a skill, it requires practice, practice, practice. To this end, I use a mix of short, low-stakes writing assignments and scaffolding. What was the most surprising result from your experiment? In your opinion, what would be a good follow-up experiment to yours? What relationship did you see between ____ and ____? Would you agree or disagree with this statement __________? List the keywords, phrases and databases that you are going to use to search for references for your lab report. Examples of other low-stakes, minimal grading assignments are timed “free-write” (write everything that comes to mind about the topic from memory for 5-10min), journals (separate from lab notebooks), outlines, or concept maps. Scaffolding refers to taking a larger assignment and breaking it into smaller parts. I have my students write their lab reports in stages over five weeks. Each stage they receive formative feedback from me and/or go through peer-review. At each stage they are also required to explain how they incorporated feedback from the previous stage. By breaking a large assignment into stages, I can provide more detailed feedback so that their final lab report is more polished and easier to read. Angelo, T.A. and K.P. Cross (1993) Classroom Assessment Techniques: A Handbook for College Teachers. Jossey-Bass Publishing. 448 pgs. Fixing spelling, punctuation and grammar are the student’s responsibility, not yours. Yes, students need to know when they have made technical errors, but it shouldn’t consume all of your time. One strategy is to simply make an X or other mark at the end of each line that contains an error. It is then the student’s job to analyze their writing and find the error. Another is to edit one paragraph and then instruct the student to look for similar errors throughout their writing. Focus your time on making meaningful comments about content, especially on early drafts. Some of the most helpful comments are actually questions. For example, rather than tell a student to delete a sentence, ask the student how that sentence helps their argument. It is easy to overwhelm students with too many comments, so prioritize which comments to give. Don’t forget to give students positive feedback about the strengths of their writing! We tend to focus too much on the weaknesses. Finally, plan ahead for how much time you realistically have for grading, and how much time you’ll need to grade each submission. Set a timer to keep yourself on track. 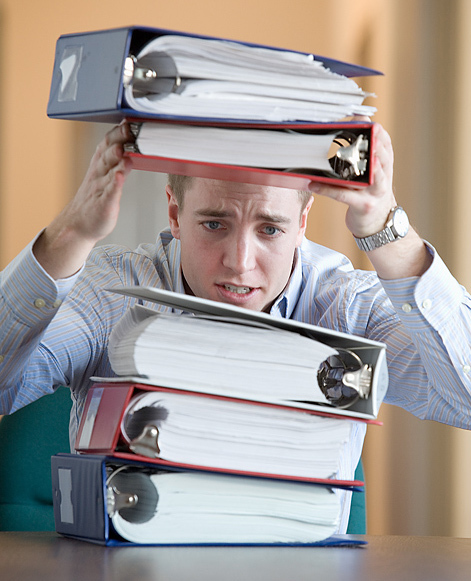 If you find that one submission is taking too long, set it aside and take a break. Frus, P. (1999) Pedagogical Theory and Practice: Responding to Student Writing. Sweetland Writing Center Newsleter. University of Michigan. Nancy Aguilar-Roca is an assistant teaching professor at the University of California, Irvine in the Department of Ecology and Evolutionary Biology. She studied respiratory and cardiovascular physiology of air-breathing fishes for her PhD at Scripps Institution of Oceanography and did a postdoc in evolutionary genomics of E. coli at UCI. She currently runs the high-enrollment upper division human physiology labs and is in the process of revamping the course with flipped lab protocols and more inquiry based activity (instead of “cookbook”). She also teaches freshman level ecology and evolutionary biology and is interested in using online ecology databases for creating inquiry-based computer activities for this large lecture course. Her other courses include Comparative Vertebrate Anatomy, Marine Biology, Physiology of Extreme Environments and non-majors physiology. At the graduate level, she co-organizes a seminar series for graduate students and postdocs who are interested in learning evidence-based teaching techniques. 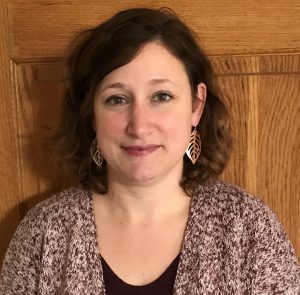 She was recently appointed Director of the Undergraduate Exercise Sciences Major and welcomes any advice about developing curriculum for this major. In order to assess what students know, you need to find out what they already knew. An assessment can only provide useful information if it is measuring what it is intended to. In the medical field, assessments are used all the time, for example, an MRI is a useful diagnostic tool to determine the extent of tissue damage but it is not necessarily useful for establishing overall health status of an individual. Assessing what a student knows with a multiple choice test may also not be useful in establishing an overall picture of what knowledge a student possesses or how that knowledge is applied, especially if the items are not measuring what they are supposed to. Construct validity provides evidence that a test is measuring the construct it is intended to. How to measure construct validity is beyond the scope of this article, for information, see the classic work by Messick (1995). Outside of the psychometrics involved in item or assessment construction, I’ll provide some quick tips and techniques I have found useful in my teaching practice. What can you do to separate real learning with deep understanding from good test taking skills or reading ability? How can you assess what students know simply and effectively? What do I assume they already know? What questions can I ask that will help me confirm my assumptions? What are the most common misconceptions related to the topic? On a whiteboard or in a presentation, begin with one to three open ended questions and/or multiple choice questions. Ask students to respond in two to three sentences, or circle a response. It’s important to let them know that the question(s) are not being graded, rather, you are looking for thoughtful answers that will help guide instructional decisions. Share the results at the start of the next class or with a free tool like Plickers for instant feedback. Short quizzes or a survey with Qualtrics, Google Forms, or Doodle Poll can be used via Black Board prior to class. Explain that you will track who responded but not what the individual student responded at this point. Share the results and impact on course design with students. Group work. Using an image, graph, or some type of problem regarding upcoming course content, have students come up with a list of observations or questions regarding the material. Use large sheet paper or sticky notes for them to synthesize comments then review the themes with the class. Formative assessment is used to measure and provide feedback on a daily or weekly basis. 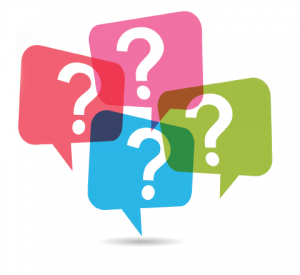 In addition to learning goals communicated to students at the beginning of each class and warm up activities to stimulate thinking about a concept, formative assessment can include comments on assignments, projects or problem sets, asking questions that are intentional towards essential understanding rather than a general, “Are there any questions?” at the end of a lesson. To add closure and summarize the class with the learning goal in mind, provide index cards or ask students to take out a piece of paper and write in a couple of sentences what the most important points of the lesson were and/or ask them to write what they found most confusing so that it can be addressed in the next class. Formative assessments provide tangible evidence for you to see what your students know and how they are thinking and they provide insight and feedback to students in improving their own learning. What do you want your students to know or be able to do? This can also be used in each lesson as a guiding objective. Identify where you will address the outcomes in the curriculum. Measure what they know with your summative assessment. Based on the measurement, what changes can be made in the course to improve student performance? Measure what you intend for them to measure. Allow students to demonstrate what they know. Discriminate between students who learned what you intended versus those that did not. Examine what a student can do with what they learned versus what they simply remember. Revisit learning goals articulated at the beginning of a topic, unit or course. Use a variety of questions such as multiple choice, short answer and essay questions. Used for oral presentations, projects, or papers. Provide self-assessment to improve learning and performance. Motivate students to improve their work. Online rubric resources for educators include, Rubistar, Online Instruction Rubric, and Value Rubrics. Students do not enter your classroom as a blank slate. Assessing and determining what students know targets gaps in knowledge. By incorporating an activity or a question in a small amount of time at the start and end of a class, you can check on potential and actual misconceptions so that you may target instruction for deep understanding. Background checks of prior knowledge provide awareness of the diversity of your students and their experiences further designing and improving instruction for active, meaningful learning. Creating a bridge between prior knowledge and new material provides a framework for students for a paradigm shift in learning and makes it very clear for them and for you to see what they learned by the end of a lesson or the end of a course. Falk JH, Adelman, L.M. Investigating the Impact of Prior Knowledge and Interest on Aquarium Visitor Learning. Journal of Research in Science Teaching. 2003;40(2):163-176. Kuhn TS. The Structure of Scientific Revolutions. 4th ed. Chicago: The University of Chicago Press; 1962. Messick, S. (1995). Standards of validity and the validity of standards in performance assessment. Educational measurement: Issues and practice,14(4), 5-8. 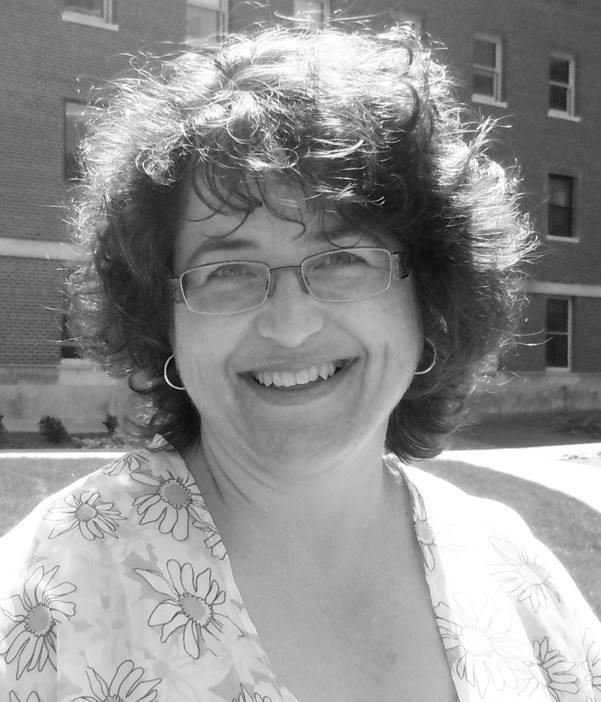 Jennifer (Jen) Gatz graduated from Ithaca College in 1993 with a BSc in Exercise Science and began working as a clinical exercise physiologist in cardiac and pulmonary rehabilitation. 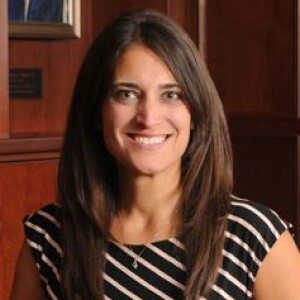 Jen received her MS in Exercise Physiology from Adelphi University in 1999, founded the multisport endurance training company, Jayasports, in 2000, and expanded her practice to include corporate health and wellness for Brookhaven National Laboratory, through 2012. 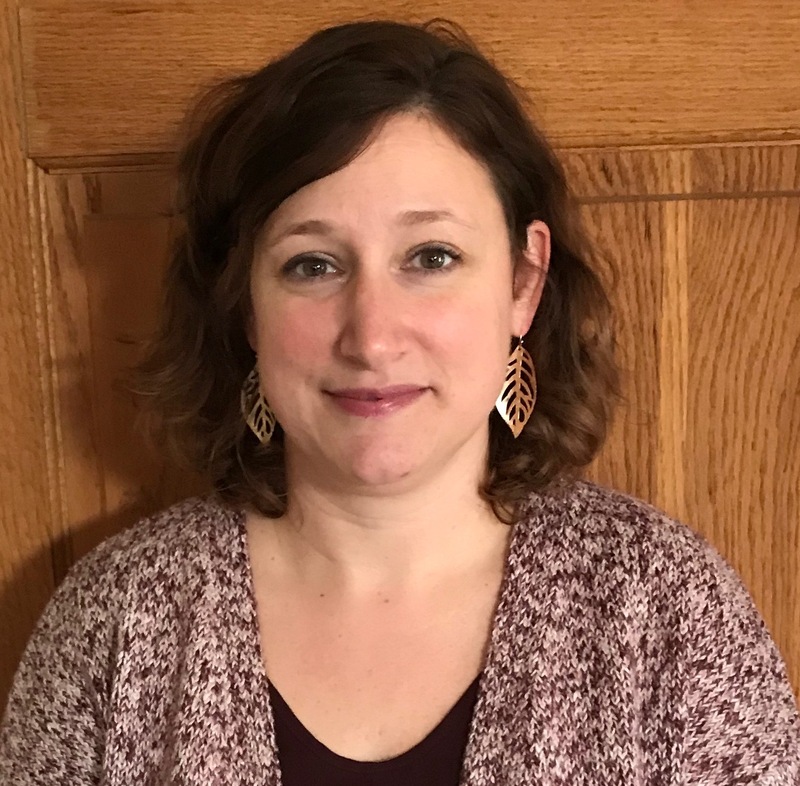 Along the way, Jen took her clinical teaching practice and coaching experience and returned to school to complete a Master of Arts in Teaching Biology with NYS teaching certification from Stony Brook University in 2004. 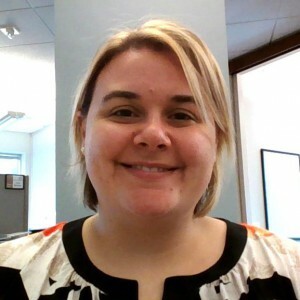 A veteran science teacher for 12 years now at Patchogue-Medford High School in Medford, NY, Jen is currently teaching AP Biology and Independent Science Research. 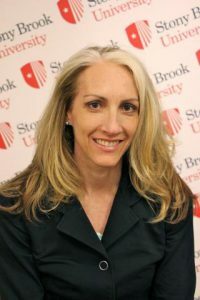 A lifelong learner, Jen returned to Stony Brook University in 2011 and is an advanced PhD candidate in Science Education anticipating the defense of her dissertation in the fall of 2016. Her dissertation research is a melding of a love of physiology and science education focused on understanding connections among cognitive processes, executive functioning, and the relationship to physical fitness, informal science education, and environmental factors that determine attitudes towards and performance in science. In 2015, Jen was a recipient of a Howard Hughes Medical Institute Graduate Research Fellowship.